Travelling with kids, especially on a long road trip with kids can prove to be cumbersome. We all want to make sure our children are safe while driving on the road. You would want to make sure that your toddler is safe, secure and comfortable in the back seat, that he/she is entertained during the travel, that your kid is not hungry and many more other cares. Travelling by road with a toddler can be dreadful. However, it can be fun if well planned. This article is intended to shine some light by providing some tips for travelling with a toddler in a car. This is a must read for every parent and aspiring parents. Prepare some healthy food for your kids before you leave your premises. Avoid junk foods though. Food is not only healthy for your toddler but it also keeps them distracted and this in turn makes your road trip with kids more peaceful. Some of the food that you can pack for your kids includes: Boxes of raisins, string cheese, grapes, apple slices, dried fruits, goldfish crackers, gummy fruit snacks etc. When preparing your snacks, endeavor to be creative. Bring with you toys and other items for car activities for toddlers for the children to play with. These toys keep them distracted. It is advisable to carry new toys as the toddler will be keen to play with them unlike the one he used to. Be keen on the selection of the toys you decide to bring to the trip. Some of the toys you may decide to bring along may include stickers, trinkets, dolls, magnifying glass, noise makers etc. You can also download some Apps for Kids. ABC Mouse Apps will work out great for your kids. This is one of the most crucial items that you will need while preparing for a road trip with kids. Safety and comfort is paramount. 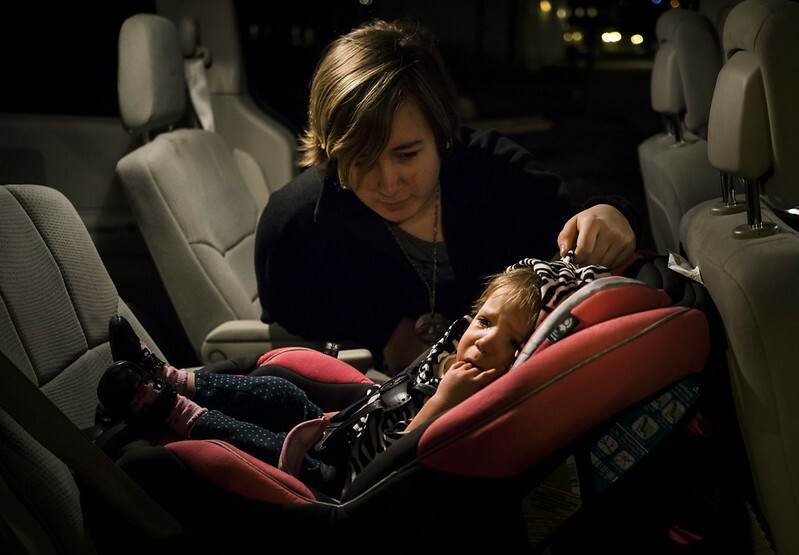 Avoid at all cost to rent a car seat for your child. 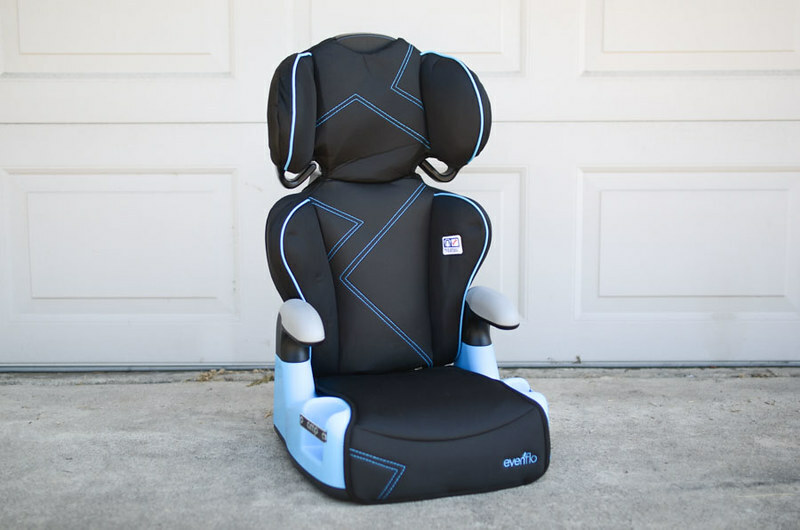 Renting a car seat raised some doubt about the condition of the seat, the cleanliness of the seat, the right size of your child, health condition of the seat etc. We recommend that you buy your own car seat for your toddler just to be sure of the safety and comfort of your kids. Do not underestimate the need to prepare your car before the journey begins. You do not want to develop mechanical problems on the road while travelling with your child. Be careful to select the car with the best condition. Make sure you visit your mechanic for general checkup several days before the travelling day. Be sure to carry an extra wheel just in case of an emergency. Ensure the tank is loaded with fuel to avoid embarrassments on the road. 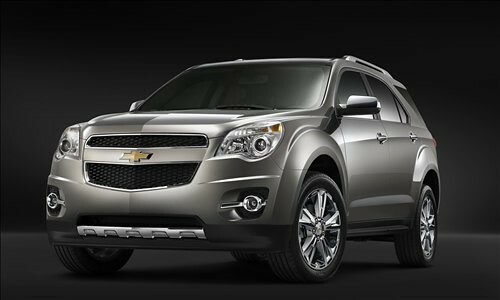 Best road trip cars should be spacious reliable, and comfortable. Regardless of the time that you are travelling, whether during the day or by the night, ensure the child is put on comfortable clothes. At night, put your toddler in some pajamas. Other comfortable clothes such as stretch pants, light t-shirts are great to dress your toddler in if you travelling by the day. Comfortable clothes keep the baby in good moods and this makes your road trip with kids quite enjoyable. Driving with a toddler should never be a nightmare to you. 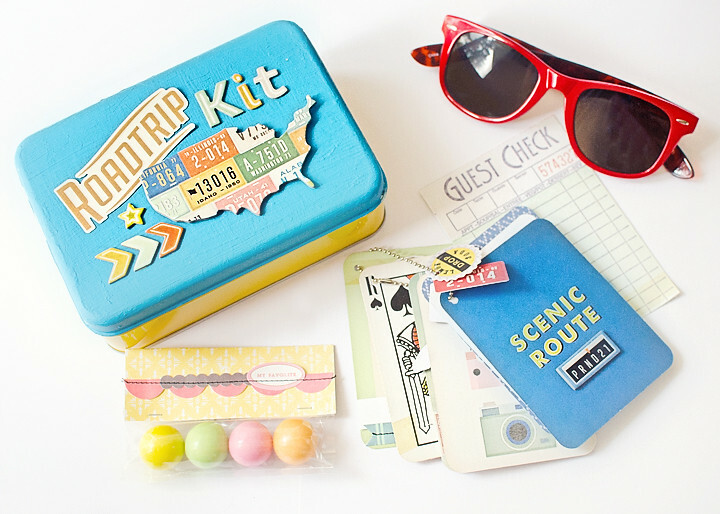 All you need is good preparation and the right equipment for the road trip. We wish you a safe and enjoyable road trip but always plan ahead of time. Everyone loves deserts whether they are a kid or an adult. But most kids have a sweet tooth and they love eating decadent, sugary and creamy desserts. Parents restrict giving their kids sweet desserts prefering some healthy food because kids get over-hyped with a sugar rush and no one wants hyper kids in normal days. However, when you’re out on a vacation, whether you’re roaming through French Gardens or you are enjoying the snow of Germany, after every savory meal everyone wants an indulgent and decadent dessert. So we thought of discussing the five most iconic European desserts kids love while traveling in Europe. Belgian waffles are a must have while you are visiting this country. Belgian waffles have acquired their fame because of light batter and squares and deeper pockets. In America, people eat waffles usually for breakfast but in Germany, Belgium, France, Netherlands and some other European countries it’s considered a full dessert which can be eaten after a meal as well. Some of the desserts kids love is waffles because of their crisp exterior and soft fluffy inside texture. 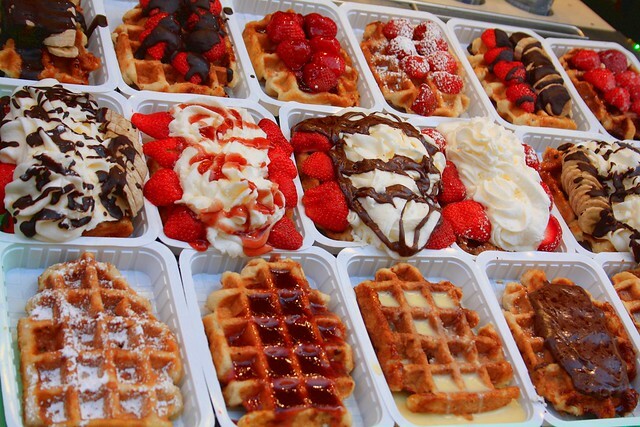 Usually, the waffles in Belgium are served hot by vendors on streets; and they are simply sprinkled with confectioner’s sugar most of the times. 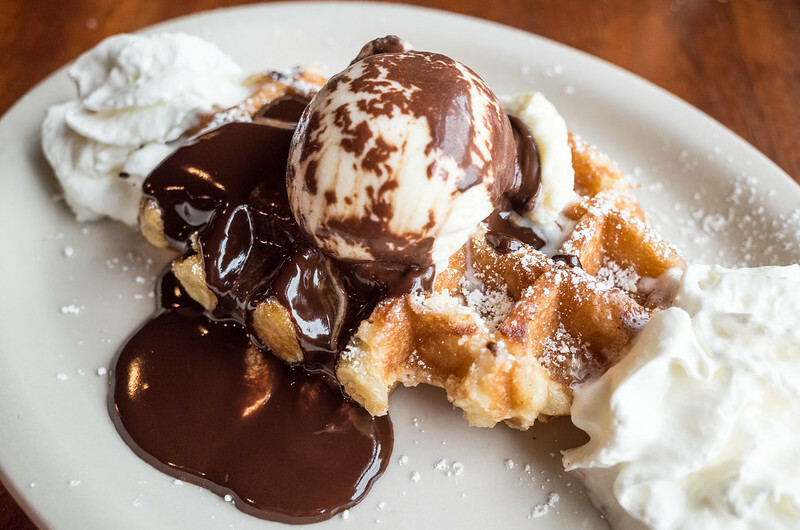 Some tourist areas also put toppings like soft fruit, chocolate cream or spread, or whipped cream on the waffles to add a bit of more depth in flavor. Every kid loves ice-cream and gelato are considered a European specialty. It doesn’t matter which season it is; kids can never ever say no to gelato. 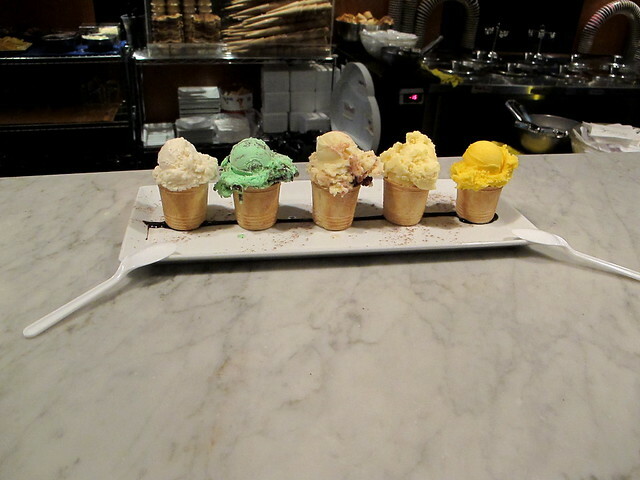 Italy is famous for serving fresh, handmade dairy air ice cream; made naturally every day. 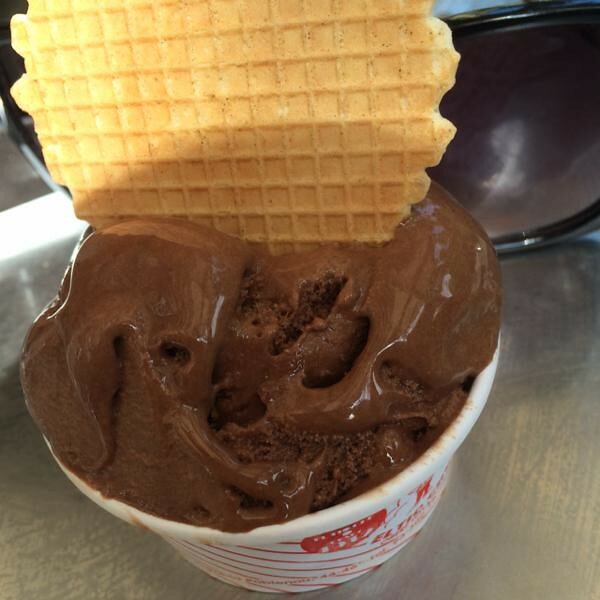 Gelato is an edible piece of Italian culture and it is also very much affordable to eat. In terms of consistency, it is much more dense and rich in flavor than usual ice-cream because not a lot of air is churned into the mix. In Italy, the most famous place to get the best gelato is from Florence. 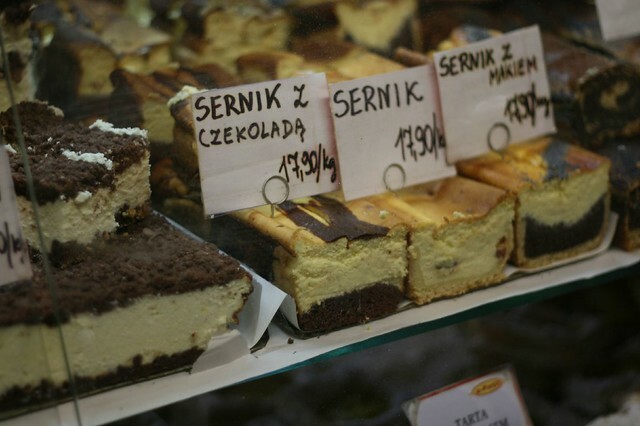 The most famous polish cheesecake, Sernik (basically, a word for Cheesecake in Polish) is a baked cheesecake, which is traditionally found in Jewish and Christian civilizations. These baked cheesecakes are prepared with eggs, sugar and curd cheese. The flavor of the cheesecake depends on what kind of cheese is being used and in how much proportion it is being added to the mixture. Apple tart is the queen of deserts in Amsterdam, Netherlands. Since it’s their traditional specialty so it’s sold in almost every café and bakery there. The apple tart looks very nearly like a baked cake and its pastry is very sweet and crisp. 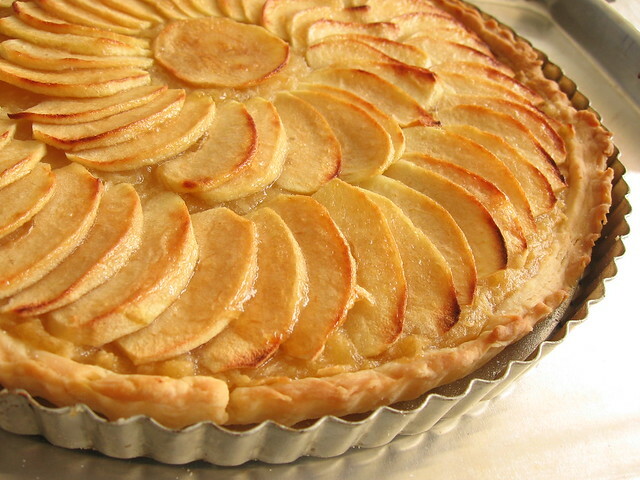 They use hard apples in the tart so that its shape stays intact. It has flavors of spices, lemon juice, nuts, and raisin. Crepes are among the most famous European desserts kids love in France and people from all over the world go there to enjoy these crepes. Crepes are similar to pancakes in taste but they are very much thinner and lighter in appearance. 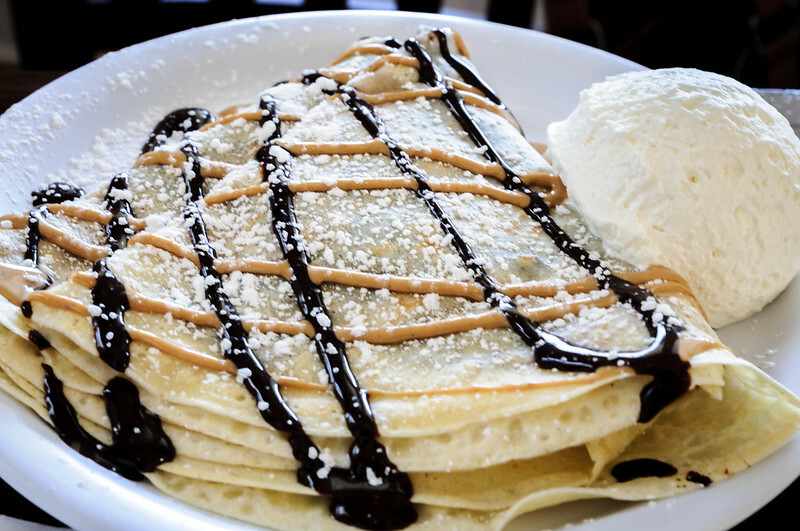 The most indulgent crepes are usually topped with French chocolate spread and are served a bit warm. So these are some of the most celebrated deserts that everyone should absolutely get their kids to try. We guarantee that these traditional mouth-watering desserts kids love will definitely make you smile and you’ll love to come back for more! There are many things that children need as they require more care and heathier food and drinks than adults do. There are numerous kinds of kids travel snacks in the grocery stores. We have gathered some of the best snacks for children that you can give to keep them full and preoccupied. As a parent, or someone who has a sibling or any relative that is a toddler, you probably had thought about what snacks you are going to bring for the children in case they get hungry or throw tantrums. For parents and those who have kids at home or younger siblings, it is known that traveling with children could be very intimidating, tiring and even dangerous. It takes a lot of work for them to be able to behave on the road or to not lose their temper in public. You never know how they would act once you are outside the house. Rice cakes is one of the best kids travel snacks. It is heathy, organic, it tastes amazing and it has all the nutrients that children need. 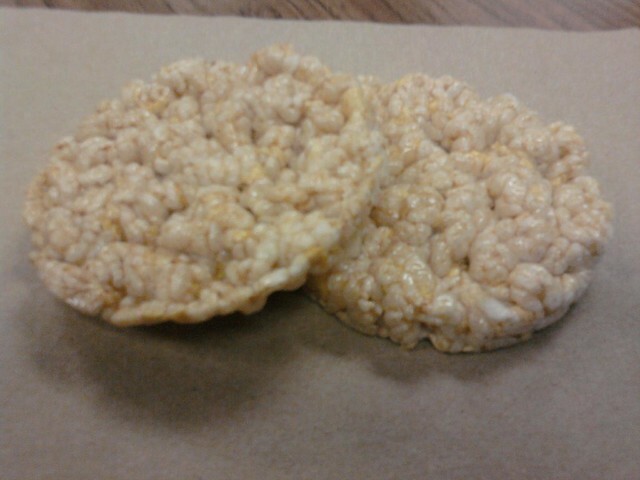 It is made from puffed rice mixed with fresh apples and carrots. These rick cakes are iron enriched, and it is considered as a finger food, so it is easy for kids to eat, chew and swallow. It is also made in a perfect size that is not too overwhelming for kids to eat. 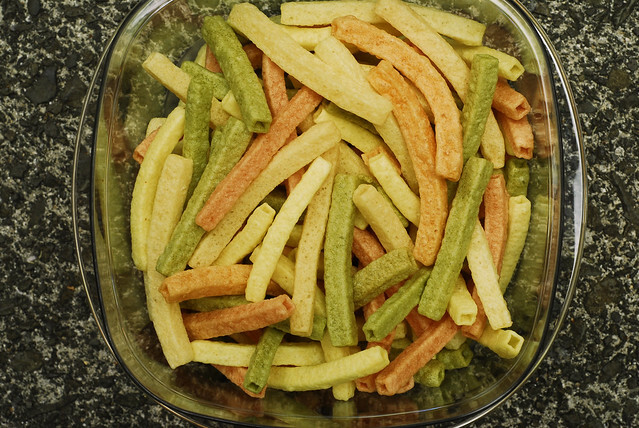 Another delicious and nutritious kids travel snack is Veggie Straws. These are vegetable chips that are made using vegetables. What is fascinating about this snack is that it comes in many flavors. Your kids can select which ones are your favorites and you can bring them on the road. This is a lot better than serving them the usual potato chips that you see on the market as those are rich in sodium and is not good for your health, especially for children who are still developing. For those kids, who are very picky in what they eat, you can also serve them nuts and seeds. These are the best source for nutrients that your children need. It has vitamins, minerals, antioxidants, healthy fats, protein and fiber. Nuts and seeds can help with your kid’s growth and stamina and it will also make them feel full longer. If you ever get stuck on the road during lunch hours, you can pack a cheese stick or sandwich for your kids. Cheese is one of the all-time favorites of children. It is rich in vitamins and calcium and you can pair it with any meat that you would want to put on their sandwich. You can also prepare it using wheat bread to make it healthier or you can also do a cheese stick wrap to make it easier for them hold and eat. Travelling with children can be fun. It can also serve as your bonding time with them. Nevertheless, make sure that their health and eating habits are not compromised when travelling. You can always pack those kids travel snacks and lunch that are easy to prepare and easy to eat. That will keep your children full and energetic when you travel. 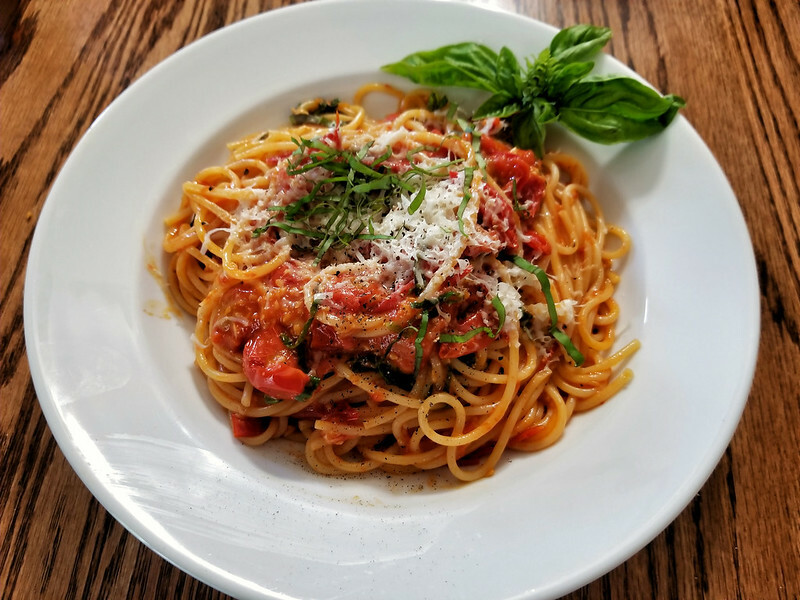 You might be thinking about eating Italian healthy food today because of all the junk food that is taking a toll on you. Italy has been famous for its cuisine, and we will let you know what this country has in store for you today. 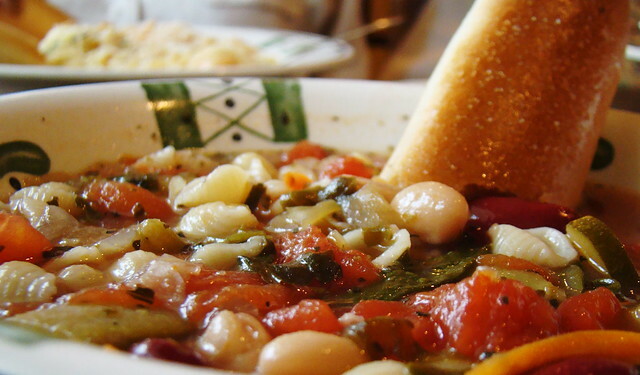 The Minestrone is an amazing thick soup that you will love in no time. The ingredients are veggies, pasta, rice, and many other things including carrots or onions. You can also use beans, stock, or even tomatoes. You do not have to follow a particular recipe to make Minestrone today, so you can make a Minestrone with your favorite veggies if you want to. The Margarita Pizza is a Neapolitan pizza that you will love. Ingredients for this pizza are simple: mozzarella, tomatoes, fresh basil, olive oil, and salt. This is one of the most popular pizzas in Italy. 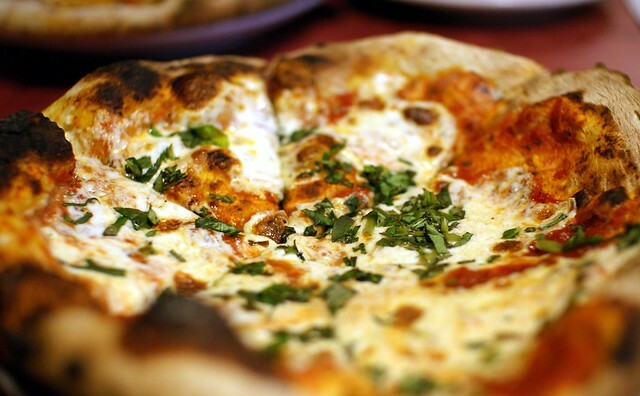 A man called Rafaele Esposito invented the famous Margarita Pizza in 1890. He wanted to honor the queen of Italy along with the unification of Italy. The toppings of the Margarita Pizza are mozzarella, tomato, and basil because of this. If you think a little bit about it, these are the colors of the beautiful flag of the Republic of Italy. This is a wonderful dish that you can enjoy right away. If you want to cook something different for your family, the Spaghetti with Tomato Sauce can do the trick. You just have to use one can of your favorite tomato sauce and two cans of tomato paste. Also, you might use one can of your favorite diced tomatoes. You can also add fresh mushrooms and make this dish even better. 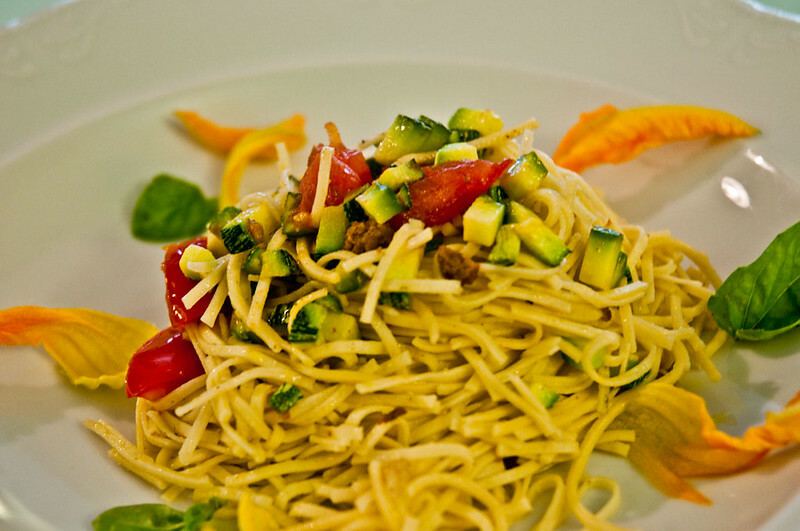 The Pasta Primavera is an outstanding dish that consists of fresh veggies and pasta. The dish can be traced back to 1975 in New York and Sirio Maccioni can be said to be the creator of this recipe. This man owned a restaurant in NYC called Le Cirque, which became famous over time because Mr. Maccioni worked hard to make it happen. This is one of the most important dishes in the history of American cuisine. 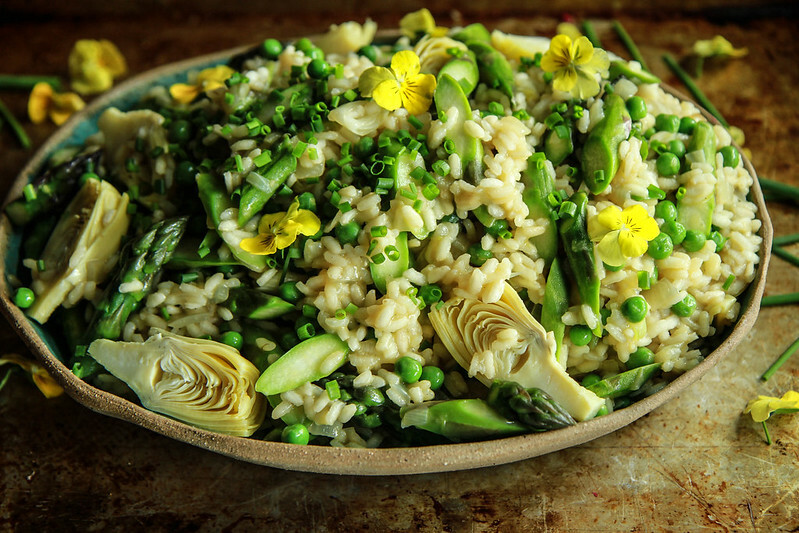 The Spring Risotto is an excellent recipe that you can try out today. You just have to get some pieces of the famous chicken breast, olive oil, wine, lemon juice, clove, garlic, and onion. Your family will just devour the result of this concoction in no time, and you will truly feel very happy right away. If you have to deal with a rainy spring day, the Spring Risotto is truly for you. You will feel truly full when you eat the Spring Risotto today. These dishes are quite amazing stuff, but you need to take some action so you can make things happen. These recipes are not dealing with meat, so you will end up with some kind of refreshment for your daily routine when it comes to eating junk food. 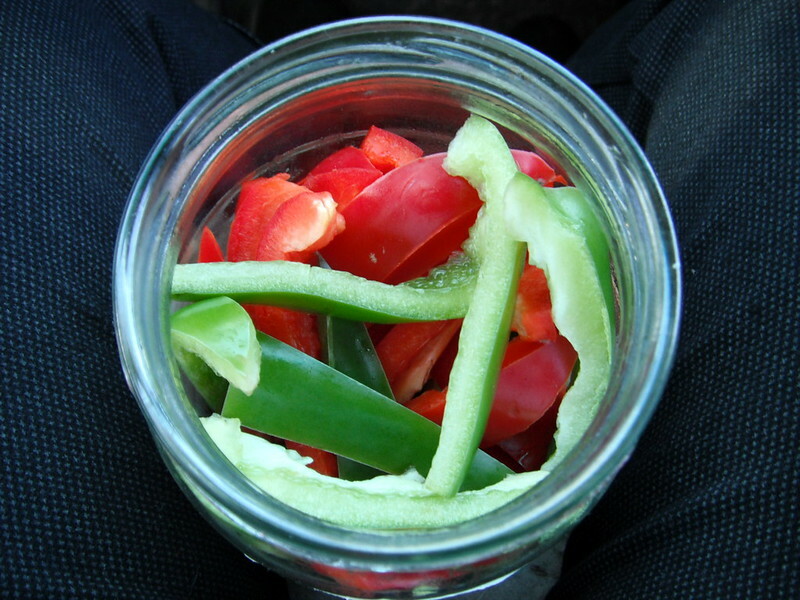 Remember that veggies are an integral part of Italian healthy food that you will love in on time too. So, here you are in Barcelona enjoying the sights and having a great time with your family. It’s a hot sweaty day and you and your traveling companions decide that a cool refreshing ice cream is just what is needed to sweeten the day. The question you would most likely ask at this juncture would be; how to find the best ice cream in Barcelona. 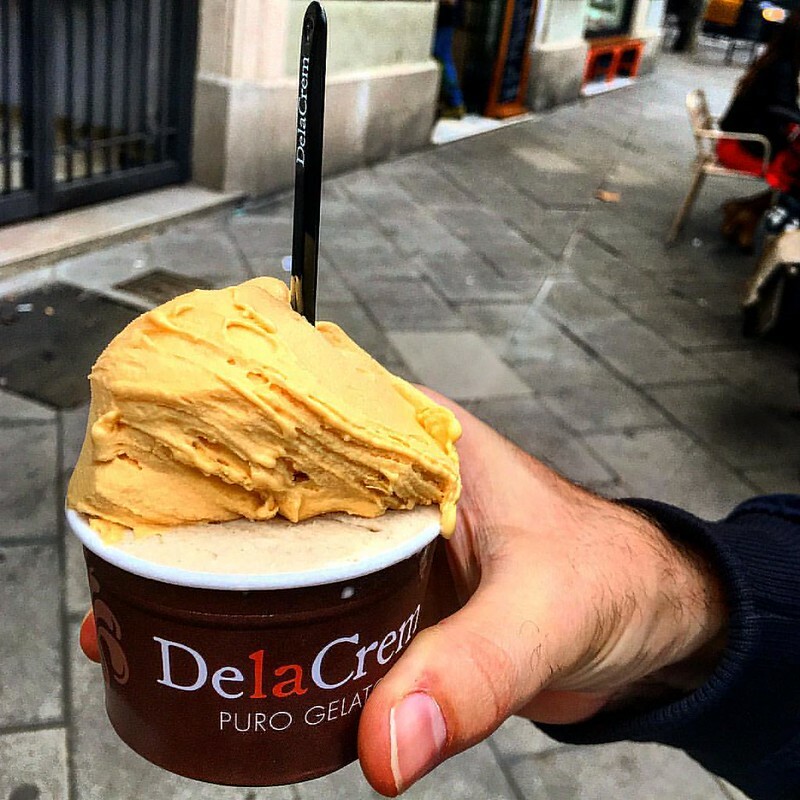 There are several top class places to get great ice cream in Barcelona, but here is a list of the best choices. Delacrem’s creator and current owner is an Italian, Massimo Pignata. You can easily find his ice cream shop at L’Eixample is well renowned for delicious eye-popping ice cream flavors. He uses 100% fresh natural ingredients. Most of the available seats can be found outside the café along the main road offering guests a lovely view of the surrounding architecture. 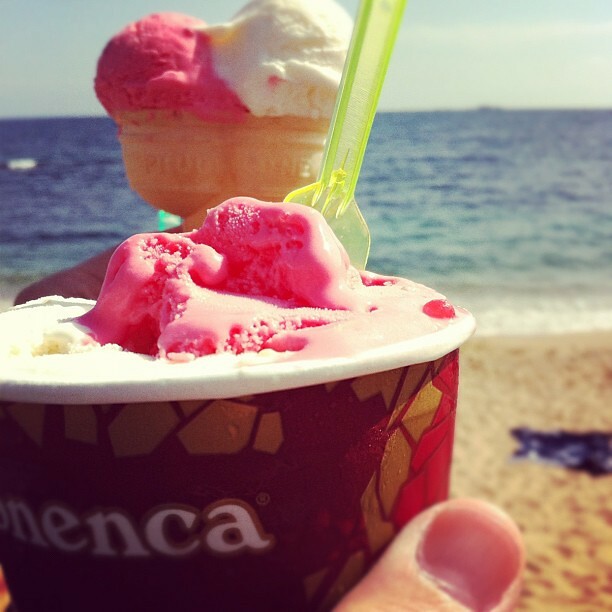 DelaCrem is best known for its variety of mouth-watering ice cream flavors. There are about 12 ice cream flavors to pick from and the flavors on offer are constantly rotated. For a small price, you get a generous amount of real, natural, homemade ice cream. Italians are world famous for their art, cooking and ice cream. Here is another wonderful ice cream spot also owned by an Italian. 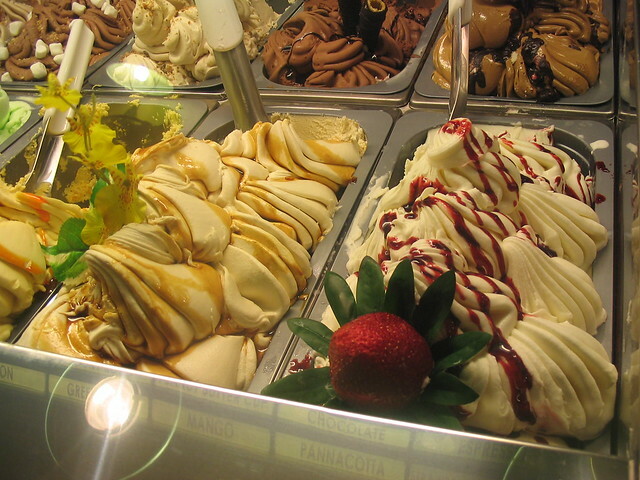 Find the Gelateria Acrobaleno in Garcia, this store is well known and loved for its quality Italian ice cream flavors. The place uses pure natural ingredients and zero artificial flavors or sweeteners. There are about 26 flavors to excite various taste buds, so you can be sure there will be something for everyone in your family. Here you will find basic ice cream flavors, eccentric flavors, and even some adventurous creations. Whatever you pick is sure to be a delicious and exciting experience. The La Jijonenca ice cream stand is a small gelato stand right in the heart of La Rambla. Though you would find several gelatos stands around, you would notice the attention this particular spot attracts. Have a taste of their ice cream and you would quickly see why. There are about 30 to 40 flavors to pick from, all delicious and in mouth-watering colors. The texture and taste is a treat you would not forget in a hurry. The spot uses natural ingredients and their ice cream has a really competitive price. The Giangrossi is a classy café where you can find delicious well-prepared meals and ice cream. The customer service here is a delight. There are several ice cream flavors to enjoy and you would find each of them a delightful treat. Beware the queues, especially, during weekends, because the place has become known for quality ice cream. The pricing here may be a bit higher, but no one leaves here dissatisfied. You would surely come back for more after experiencing the Giangrossi ice cream delight. The El Tio Che is located in Poblenou and remains one of the best ice cream spots around the area. There are several friendly priced ice cream flavors to choose from. One trip and you would be hooked on its delicious and exciting flavors. You can also get the best hot drinks and horchata here. Expect to meet a queue when you visit the El Tio Che because many people come here for the rich, delicious home-made ice cream flavors on offer. Barcelona is a tourist delight for its architecture, art, friendly people, nightlife, history, and now you know; it’s delicious ice cream. If you are ever in Barcelona, be sure to hire a Barcelona car rental service to try out one or more of these spots.